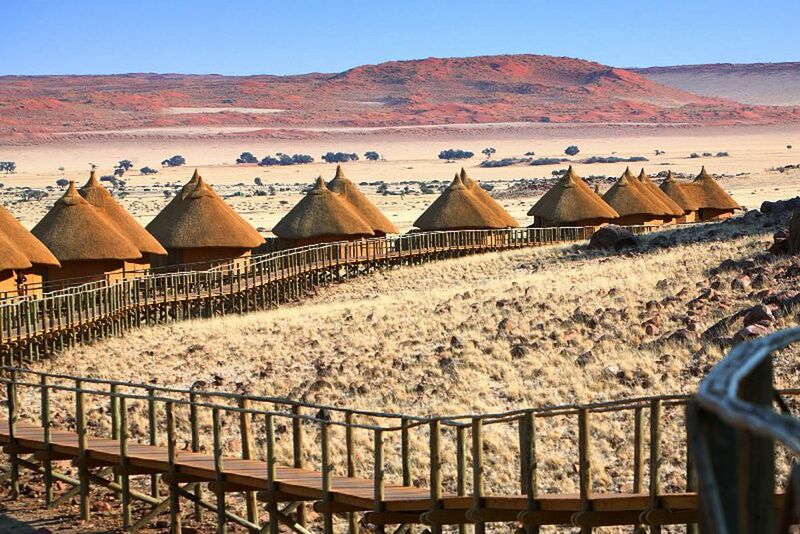 A tiny and secluded African village in the middle of Namibia - The Sossus Dune Lodge. Endless, vast and wonderful landscapes surround the lodge. Noble interiors and pleasant colours characterize the Chalets. Breakfast in the open? The breathtaking scenery will surely capture your eye. Experience the perfect dinner in the open and marvel at the beautiful sunset with a specially selected wine - the "drink of the gods". 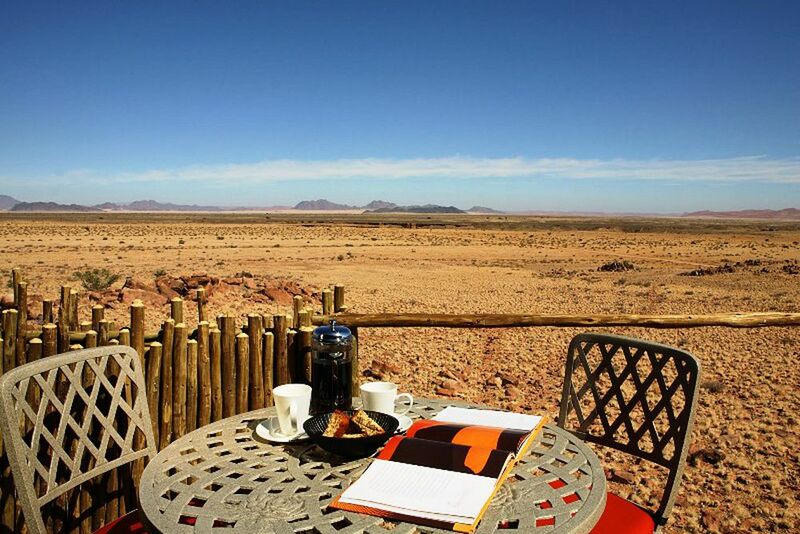 Sossus Dune Lodge is nestled against the low mountains of the Namib-Naukluft National Park and offers unrivaled panoramic views of the landscape. Since it is the first and only lodge in the Namib Naukluft National Park, built in the style of an African village, guests will experience an unforgettable holiday full of seclusion and tranquility. 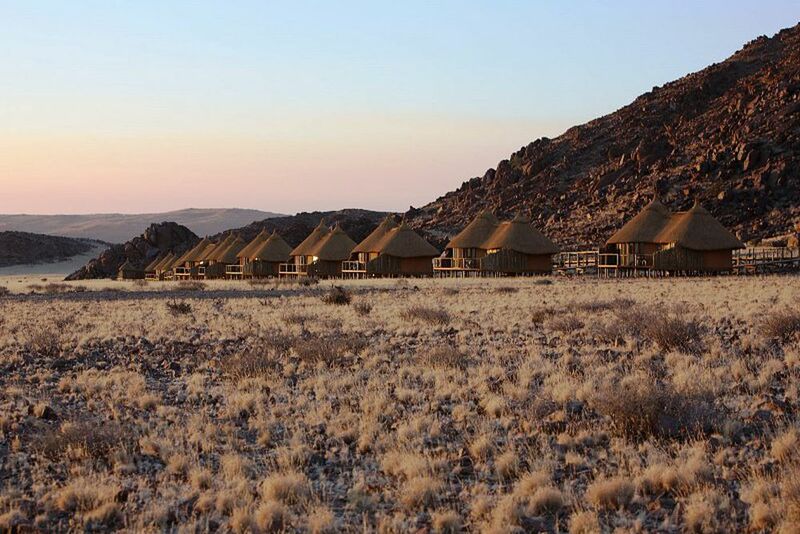 The Sossus Dune Lodge is the first and only lodge in the Namib-Naukluft Park, just four kilometers from the base of the mountain, Sesriem Gate. The lodge offers uninterrupted views of the dunes and the desert. Nature lovers will thrive in unique experiences amongst Namibia’s beautiful nature. Not far away is the Sesriem Canyon, which has been shaped by the Tsauchab River for many years. 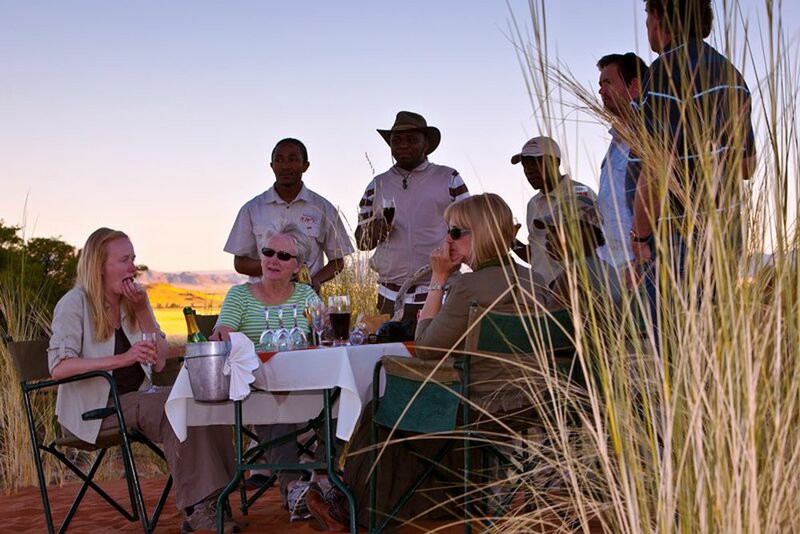 Thanks to the location in the middle of the park, guests have an exclusive advantage to reach Sossusvlei before sunrise, and to stay until after sunset. On your return after an exhilarating day, relax in the tranquility and splendor of the Namib Desert under the spectacular African sky. Ask the hotel for optional excursions that will allow you to make unforgettable trips to these amazing areas. The hotel has a restaurant and a bar that offer panoramic views of the surroundings. In the restaurant, savor the à la carte menu that caters to all needs. Find the perfect present for loved ones at home in the souvenir shop and take a dip in the refreshing pool. 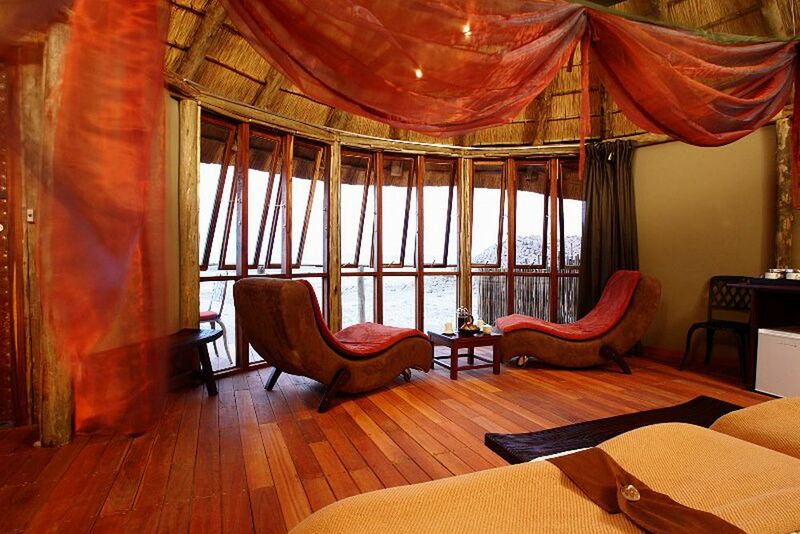 The 25 spacious chalets are linked by raised wooden walkways and built in an eco-friendly African style using wooden frames and canvas walls topped by a thatched roof. The 13 chalets on the left side of the main building boast views of the endless dunes. The 12 chalets on the right offer views of the majestic mountains and the Sesriem Canyon. Room amenities include mosquito nets, a bathroom with shower, bathroom toiletries, a safe, and exotic African ornaments.